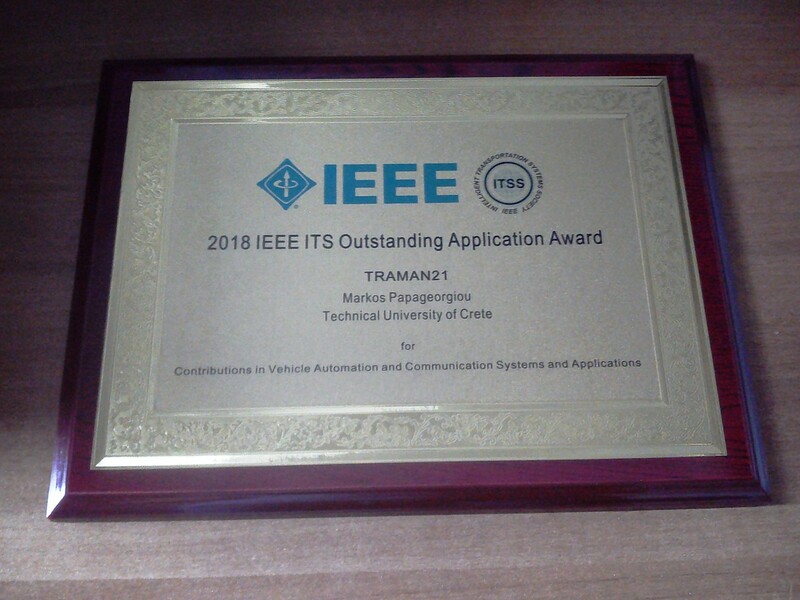 Prof. Markos Papageorgiou and the TRAMAN21 Team received the 2018 Outstanding ITS Application Award from the IEEE Intelligent Transportation Systems Society for their contributions to "Vehicle Automation and Communication Systems and Applications". The project TRAMAN21 was completed at DSSL and was funded by an ERC Advanced Grant (2013-1018). The award was presented to Assoc. 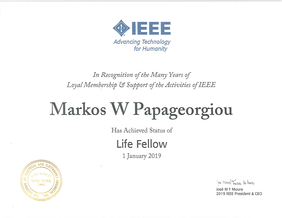 Prof. Ioannis Papamichail during the award ceremony of the 21st IEEE International Conference on Intelligent Transportation Systems, Maui, Hawaii, USA, November 4-7, 2018. Dr. Maria Kontorinaki, a former PhD student within TRAMAN21 and now a Lecturer at the University of Malta, received the 2nd Prize for the Best PhD Dissertation Award 2018 from the IEEE Intelligent Transportation Systems Society for her doctoral dissertation "Advanced Nonlinear Control Concepts for Freeway Traffic Networks". The award was presented at the same conference as above. 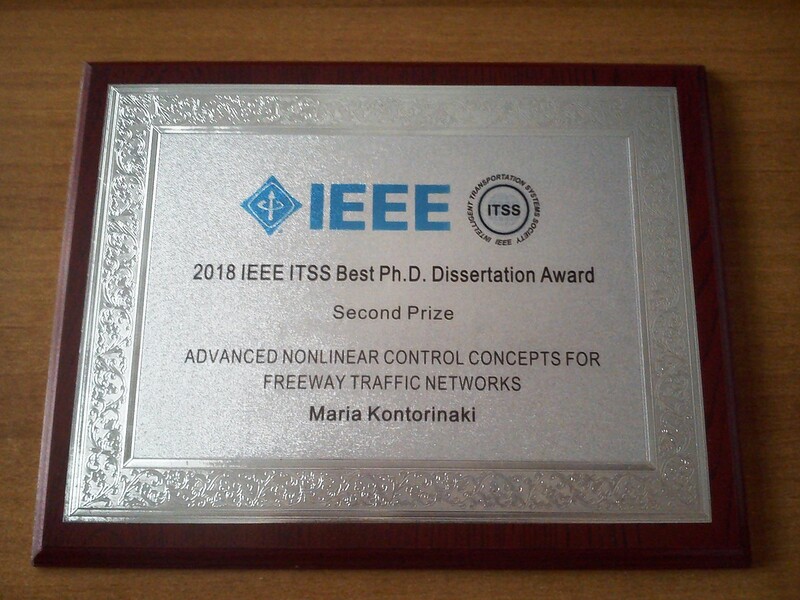 Dr. Anahita Jamshidnejad (Delft University of Technology, Netherlands) received the 1st Prize for the Best PhD Dissertation Award 2018 from the IEEE Intelligent Transportation Systems Society. Dr. Jamshidnejad visited DSSL for two months during her doctoral studies and Prof. Markos Papageorgiou was a co-supervisor of her doctoral thesis. 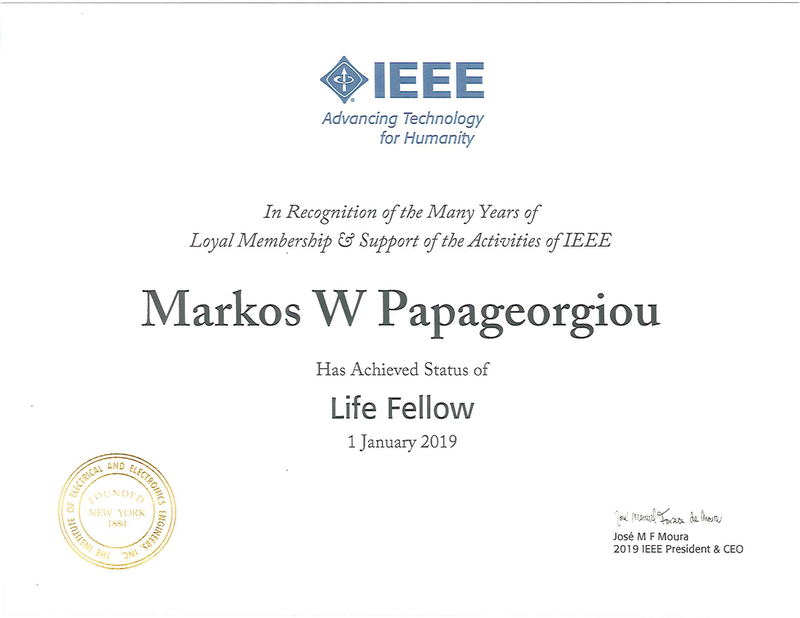 Prof. Markos Papageorgiou was selected to become an IEEE Life Fellow from January 1, 2019.